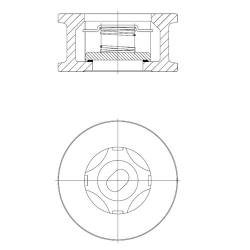 Single-plate wafer check valves prevent reverse flow with disc movement that is parallel with the flow. With this design, the disc is always in the flow path. Discs are spring-loaded to assist in seating. 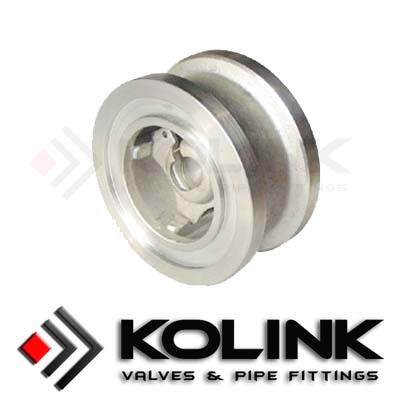 These wafer type check valves are bonnetless and are installed between flanges. The type of check valve disc has very short disc travel and responds very quickly to flow stoppage or reversal, thus minimizing the potential for water hammer. It is somewhat better than the tilting disc check valve at minimizing potential water hammer, but with a higher pressure drop.